of our modern, overly-sanitized lives. We miss working with our hands. We miss the labor that denim was intended for. In an age of glass surfaces and on-demand experiences, has slow work and the tactility of dirt become a luxury? 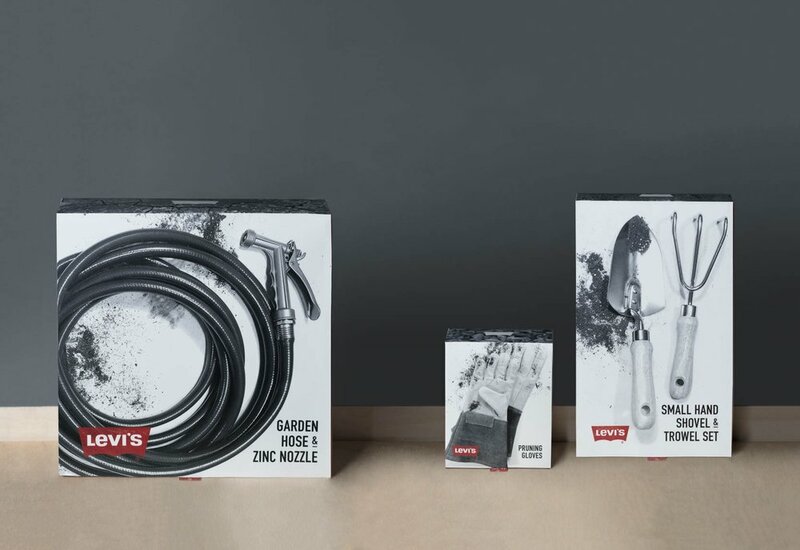 This project, transplanting the soul of Levi’s into a range of packaging for garden tools, was my attempt to answer that question. The iconic Lev's look reimagined for the garden. the brand. The products should come in various sizes to show the versatility of the package design. My design concept was focused on translating the look and feel of Levi’s onto a new category of products. its stores and on its apparel, nonetheless speaks in the same voice, communicating ruggedness, authenticity, individuality and work.